I've admitted my addiction to Pinterest and I don't feel so bad about it anymore! Setting up a new classroom in a new school has been a great opportunity to try out some of the things I pinned on my boards a long time ago. 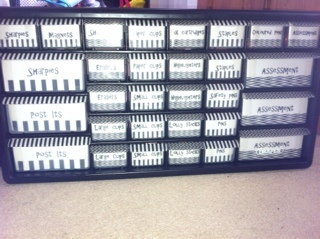 I'll put them up in a few separate posts, this one will focus on general classroom organisation ideas. You can read all about this one and see step-by-step instructions in my previous post. I saw this pin and immediately liked the idea. 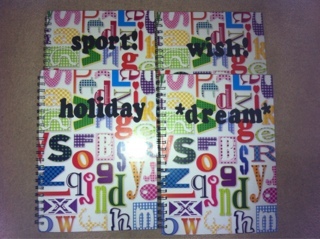 I bought the notepads and sponge letters from The Range and decided these were the 4 topics. The books will basically be free writing journals for kids to write about a sports event (like a report), a dream, a holiday or a wish. 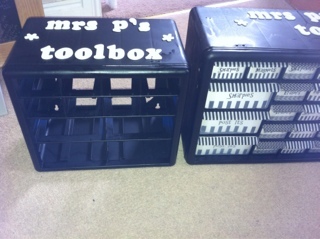 It's a really simple idea which, I hope, will encourage writing. My job is to make sure children have time to use them. 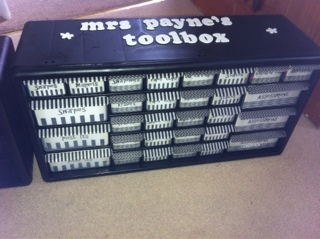 My husband and I bought a couple of sets of these each as an easy way of understanding how children felt the lesson went. These used in the wrong way can be awful. However, with the right classroom ethos and understanding they can help teachers judge where to pitch the next lesson, who needs help on the next day and who is ready to move on. 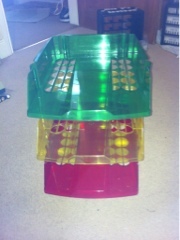 The in-trays can be bought here.